where we will mill our flour & cook! This vacation experience is not for the tourist but for the traveler. The itinerary has been thoughtfully crafted for those of you that want an in-depth and rich experience of local life in Italy. We’re going off-the-beaten-path to areas that are still mostly undiscovered. This was the original concept and the very core of who we are and why Culture Discovery was created. You’ll take a giant step back to places and times that are nearly forgotten. This is experiential travel in some of its purest form. You will partake in local traditions and customs. 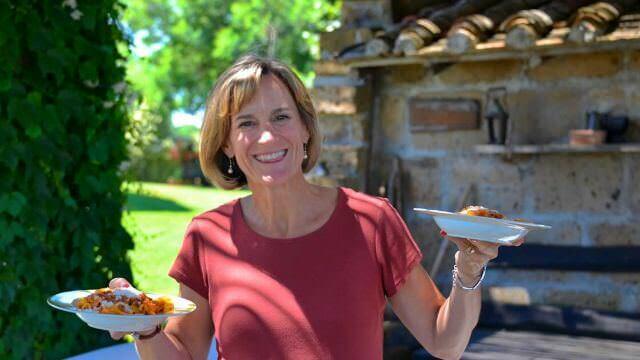 You will cook and taste home-style Italy that even most locals never do anymore. This is the road less traveled. These are the cities lost in time. This is the REAL Italy that everyone dreams about. 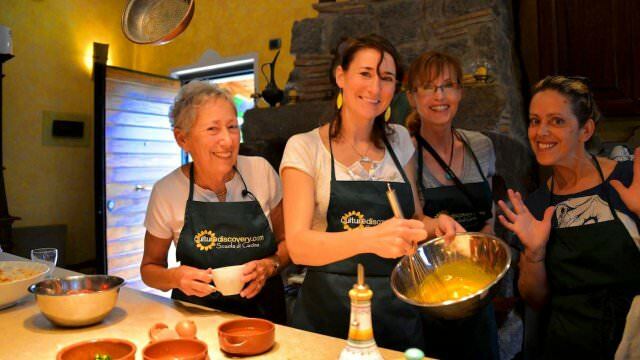 Our outings, excursions and cooking classes this week are a mixture of new places our guests have never been to, along with some of the highlights from our Under the Tuscan and Umbrian Sun Vacation. We call this small- group, 8-Day, 7-Night vacation, Cities Lost in Time on the Road Less Traveled. 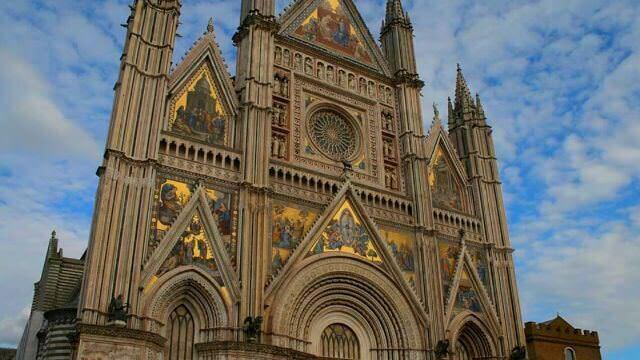 We're taking guests to some lesser-known places in and around Soriano as well as Tuscany and Umbria. We will visit places that only a few foreign travelers ever see, including many sites that even the locals aren't familiar with. Local civilization dates back about 2500 years when the area was inhabited by the Etruscans. The Etruscans pre-date the Romans, and much of what history has attributed to the Romans actually came from the Etruscans. They were an amazing people that ruled from twelve city-states before the Romans ultimately conquered them. We're going to see some of the places where they lived, how they lived and also where they practiced customs and rituals. Take a step back to the origins of life in Italy. 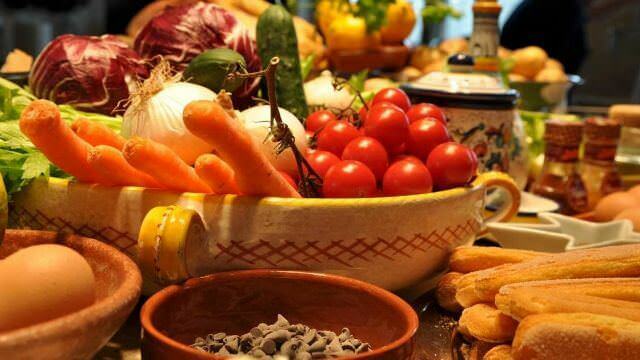 We'll even have one of our class courses and recipe based on a long-forgotten Roman cookbook. Along with this and many other experiences we'll have this week, above all, it is a week of getting to know the locals, fun, family and laughter as we share what makes this part of Italy so special in a very personal way. We'll be making a diversity of recipes during our cooking classes this week. 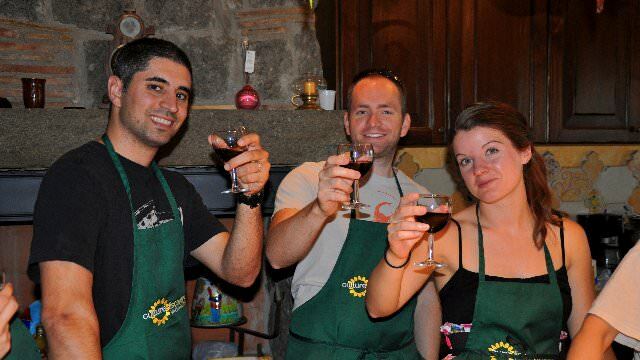 All our cooking classes are completely 100% hands-on, with a participate as much as you want or desire to structure. They are not demonstrations. Two of the classes are complete full-course meals, during which you are completely involved in everything. 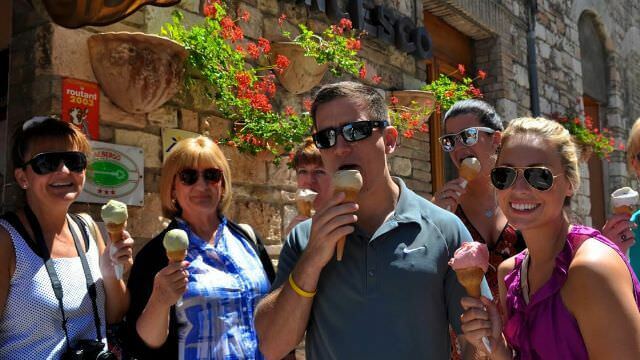 Another class focuses on locally-sourced and regional recipes, including deserts of Biscotti and Gelato. 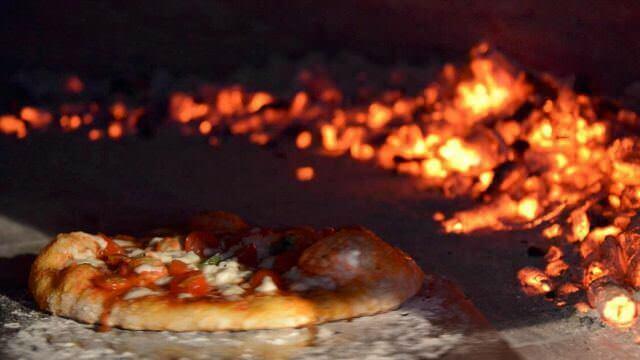 Yet another is all about Italian Country Wood-Fired Pizza! 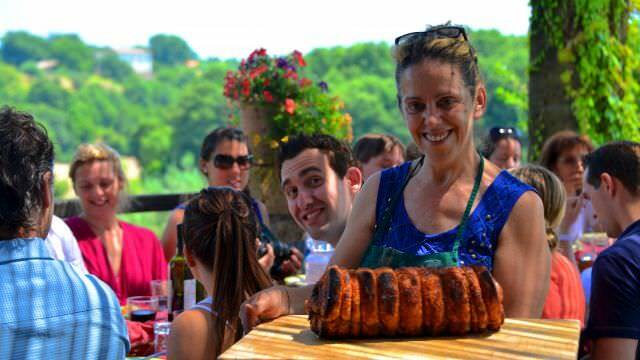 One of our classes will be at a generations-old traditional water-wheel grain mill, where we will make a local-style Umbrian bread as well as a strudel-like dessert. So, when you're ready, we will get wrist-deep in our kitchen as we make locally-sourced, farm-to-table recipes using ingredients such as flour from a family-run mill in Umbria to make, from scratch, home-made pasta. We'll also use it for our pizza class on Friday night! We use free-range chickens for our Tuscan Roasted Chicken made directly in our wood-burning oven. Our sauces are made with mostly with home-grown, seasonal vegetables including, zucchini, celery and onions and eggplant. We'll make ricotta and pecorino cheese with a local shepherd...And so much more! 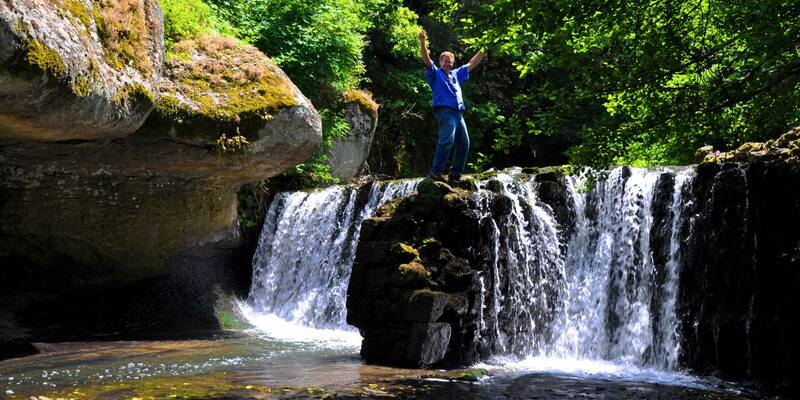 Be prepared to be amazed and bewildered by the very special destinations we have planned this active week. 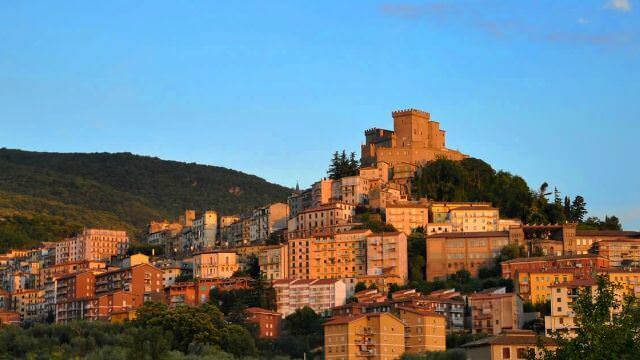 While so much of Italy is steeped in its past, many times you can only view those places from afar. This week, you will literally be standing in the footsteps of centuries past. 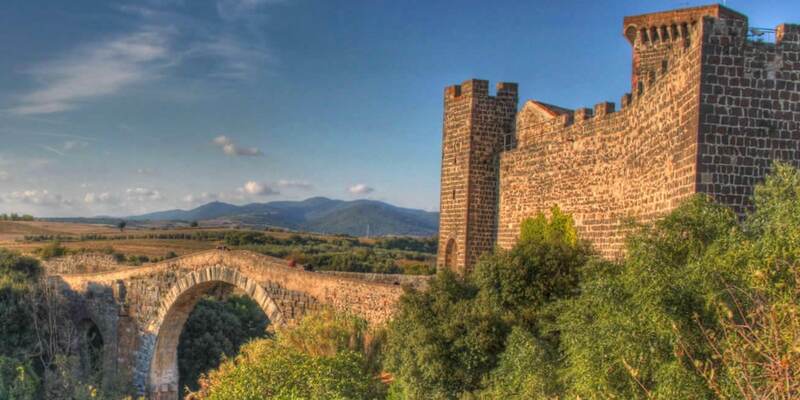 We'll walk through history visiting two different Etruscan archeological sites. One is at the ruins in the village of Vulci, which was a thriving community set in a beautiful valley and mountain ridge with a river running adjacent to their settlement. 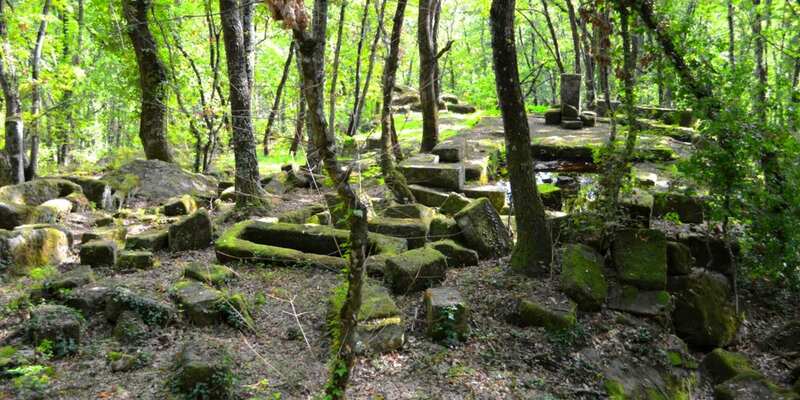 The other is in a forest on the outskirts of Soriano, where the ruins and remnants of a small encampment shows evidence of what Etruscan village life was all about. Welcome to Monster Park or The Sacred Wood as it is also known as. 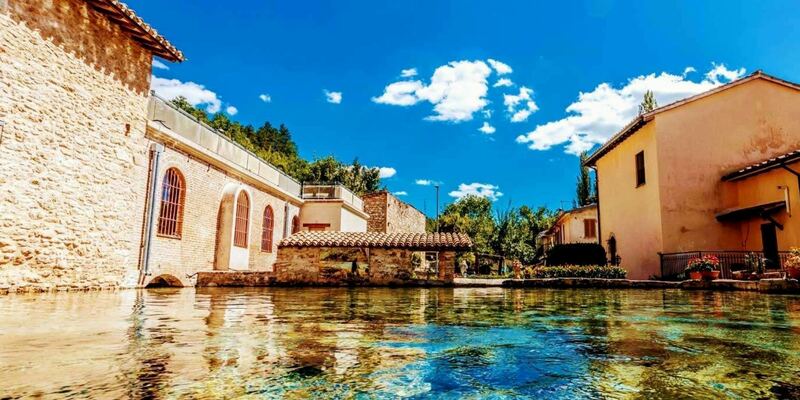 We will have a guided walk through this mystical garden full of renaissance sculptures from the 16th century that are as intriguing as they are thought provoking. 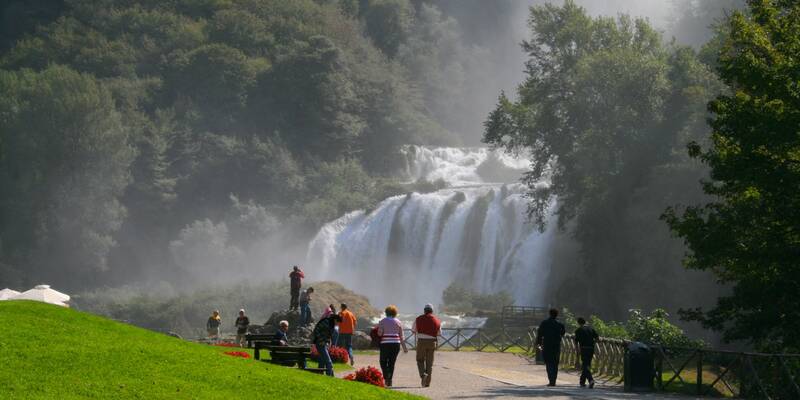 We'll visit towns that are rarely visited by foreign visitors, but are truly gems in their own right. 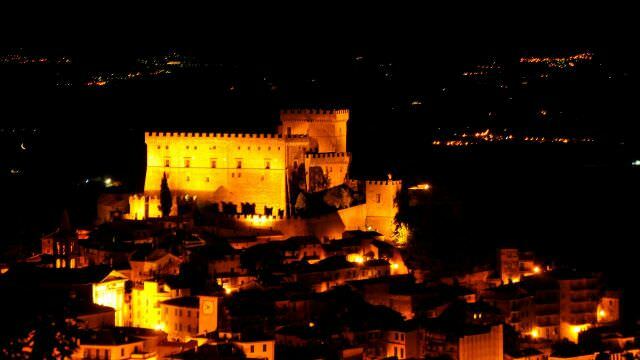 You will be wonderfully surprised by our visits to Rieti and Foligno where we will do as the locals do strolling the cobblestone streets taking in the local flavor during happy hour sitting at our favorite cafes taking in the sights, sipping wine and having appetizers. 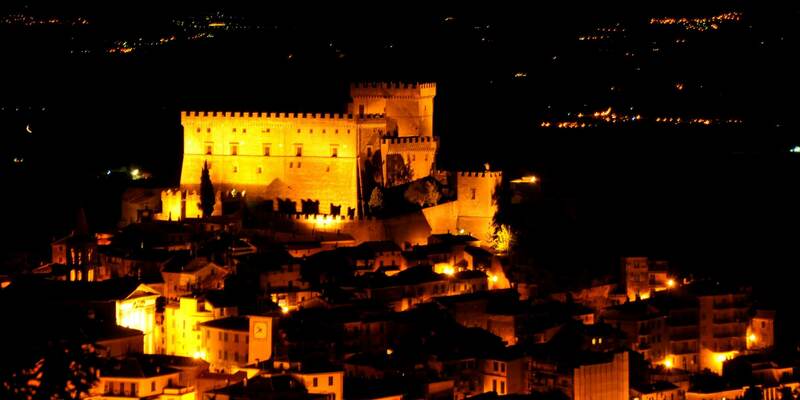 When the week is over, you will have experienced the real Italy that few tourists have ever experienced. 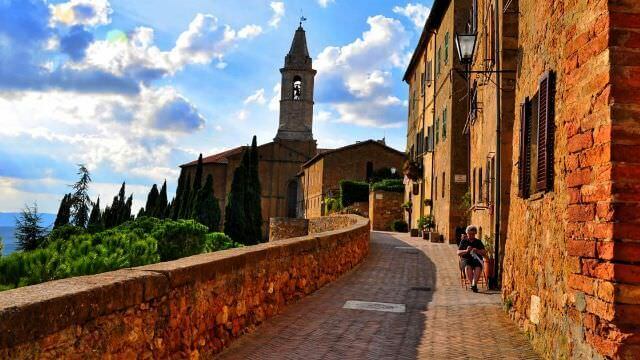 You will have made new friends, and you will have learned why Italian culture is so amazing... because you will have lived it in a way that few could ever dream about!